Xizang (Tibet): Linzhi (Nyingchi) Xian. E of the city of Linzhi (Nyingchi) on road to Bomi (Pome) (highway 318) on SW side of Seji (Serkyim) Shan. Mixed conifer-broadleaved deciduous forest in ravine. 29°33'57"N, 94°33'55"E; 3550 m.
Roadsides and cleared areas. Coarse, multi stemmed herbs ca. 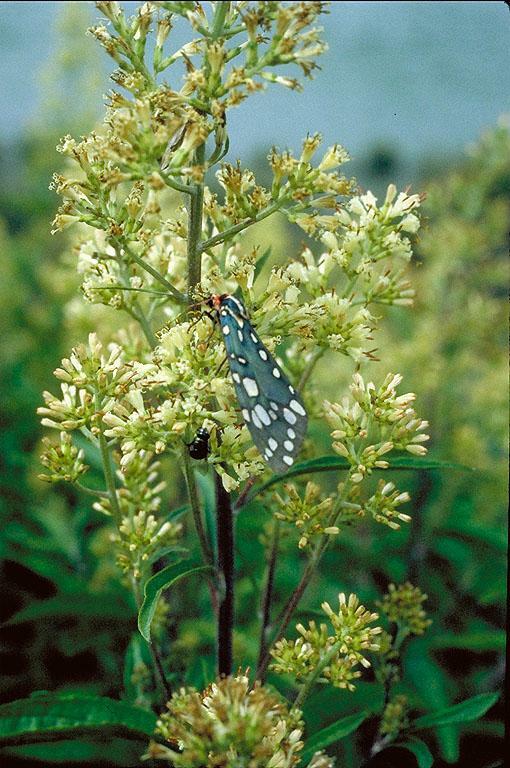 1 m tall; florets creamy; very attractive to night and day flying medium to large sized moths.